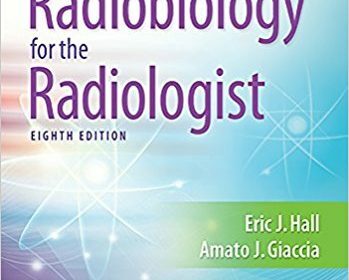 Considered the “gold standard” in the field for over 45 years, Radiobiology for the Radiologist combines traditional and molecular radiation biology principles and appeals to students, residents, and veteran clinical practitioners. This edition continues the two-part format of previous editions and features brand-new chapters, thoroughly updated content, and hundreds of figures that provide a visual context to the information in each chapter. Organized into two sections. Part1 is sufficient for students of Radiology and Nuclear Medicine and follows the syllabus published by RSNA. Students in Radiation Oncology need the general information contained in Part 1, but also need the more specialized information contained in Part 2. New chapters introduce new therapies on medical countermeasures to radiation exposure and new molecular techniques in radiology. Mirrors the format of the Syllabus in Radiation Biology prepared by the Radiological Society of North America (RSNA). Written for residents, researchers, and graduate students in radiology, nuclear medicine, radiation oncology, and medical physics. Generally considered the most comprehensive textbook on cellular and molecular radiobiology.